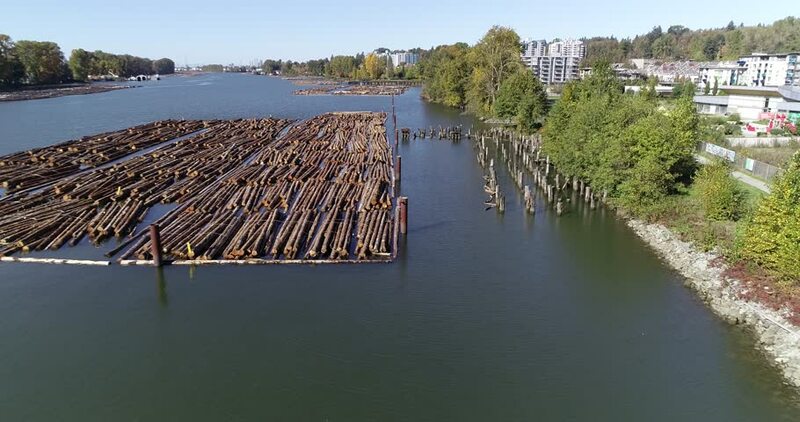 Aerial landscape view log booms Fraser River, Vancouver, BC, Canada. Drone flying. hd00:21Drone Shot, A Man on a Traditional Boat in the Swamp, next to a long Bridge, Indonesia, East Borneo, October 2016.
hd00:30New Westminster Pier Park Walkway. The Fraser River flows past a waterfront park and boardwalk in New Westminster, British Columbia, Canada.